The hunt for Easter eggs has begun! Our Easter bunnies are experts at leading the Easter Egg Hunt. Book early as the Easter bunnies sell out fast. $225 for one hour. $350 for two hours. We custom fill the eggs with candies and toys. We will even hide them for you! Hand decorated Easter baskets filled with colored straw. Please order a minimum of three weeks in advance. Easter eggs: $3 each. Minimum order 100. Delivery $50. Would you like us to hide them for you? Add $75. Easter baskets: $15 each. Minimum order 20. 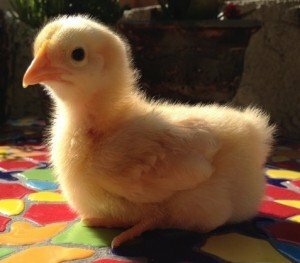 8-10 adorable, tiny baby chicks for petting. Animals: 1 alpaca, 6 bunnies, 2 goats, 2 sheep, 1 tortoise, 2 chickens, 2 ducks, 2 guinea pigs. If the weather is not too hot bring chinchillas as well. Attendant included. It helps to book one or two months in advance as we sell out rapidly for Easter. $650 for one hour. $800 for two hours. $200 per each additional hour. Add 1 pony to ride $150/hour. Add 2 ponies to ride $200/hour. Bunny petting zoo. 8-10 super cute and fluffy bunnies to pet. Attendant included. $450 for one hour. $200 per each additional hour. We bring 50 hard boiled eggs, paints and brushes. A lovely attendant is included. Beautiful pastel balloon creations with all Easter themed balloons. Please call or email to inquire. 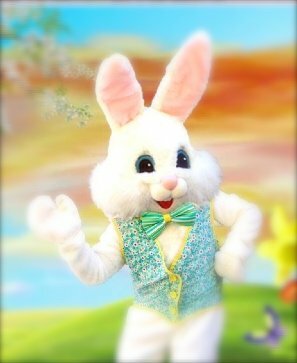 Presented on a large stage with a full PA system featuring a lovely host and her Easter puppets, original songs and music. 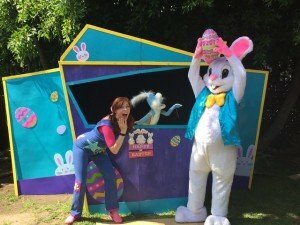 The Easter bunny is a part of the show too! Fantastic, full bodied and super fun for the whole family or larger audiences.